A business English course based on a series of Quick Time video sequences covering the syllabus of Cambridge Business English Certificate level 1 and related examinations. 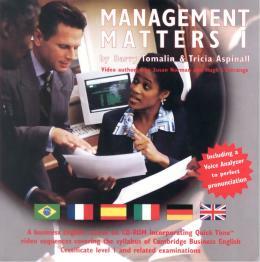 The course aims to develop general business skills together with business reports in authentic situations. It also contains comprehension tasks and business writing activities, presentation and communication skills for learners of business and mangement English. Features: Dictation mode with keyboard exercises. Business English glossary. Voice analyzer to perfect pronunciation. Business skills and office transactions. Interactive exercises covering vocabulary and grammar. Grammar references and phrase book. Business documentaries. Glossary. Level 1- Survival: 1).Introducing your company. 2).Telephone Skills. 3).Understanding and reporting financial information. 4).Understanding a news report. 5).Offering suggestions and advice. 6).Time and priority management. 7).Presenting a simple report.